Situated on 1.74 completely usable acres this cabin is loaded with charm! 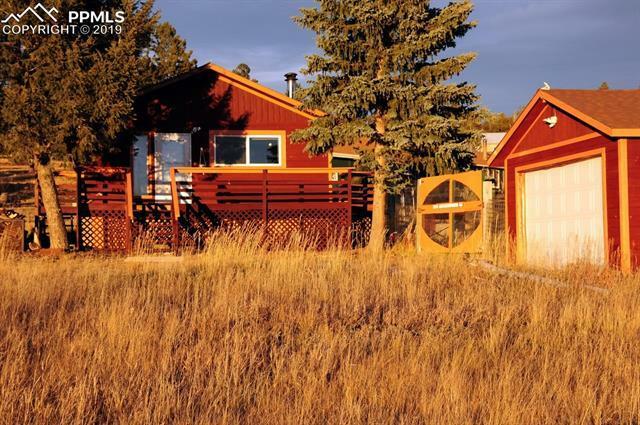 True Colorado Living in friendly and peaceful Colorado Mountain Estates! Easy drive to CR-1 (.6 miles) in all weather conditions! This one level rancher offers great views, front deck, high fenced yard previously used to keep the deer out of your gardens! Perfect home for a mountain get-a-way, weekend retreat, full time living, or even a vacation rental when you are not using it. Wood ceilings and a wood burning stove provide a cozy feel!